About DL4LD - De website van harrie-bastiaansen! 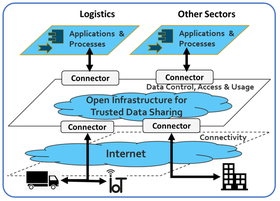 DL4LD (Data Logistics for Logistics Data) is a Dutch collaboration project, funded by NWO under the research program 'Big Data: real time ICT for logistics’. 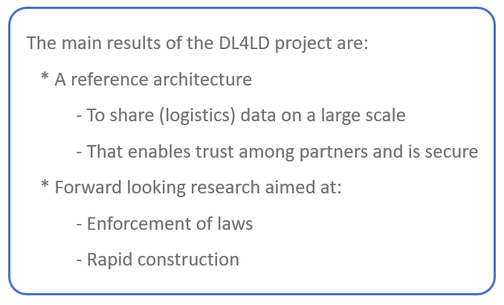 DL4LD’s main objective is to enable digitization and automation of the trust enabling capabilities for trustworthy sharing of (potentially sensitive) data between partners that don’t have a relationship of trust a priori. disseminating the DL4LD project results to the relevant (Dutch) stakeholders to increase awareness levels. DL4LD has 4 Work Packages (WPs) as depicted in the figure.